Smart pills are a thing and they've come one step closer to entering the mainstream after the FDA approved a pill packed with a digital sensor for the first time in the US. 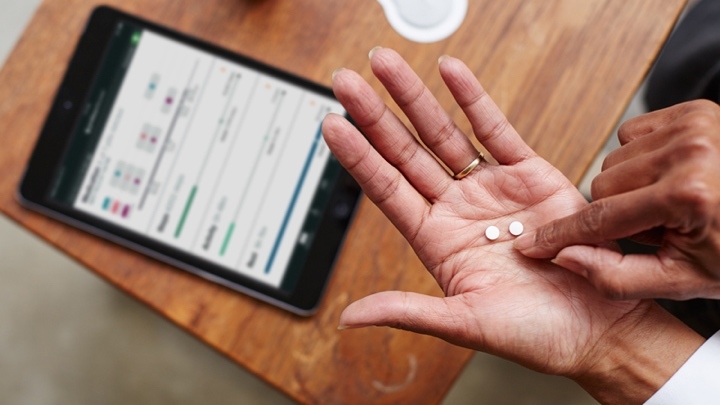 The Abilify MyCite smart pill, which is made up of an aripiprazole tablet and an ingestible sensor, is able to record when a patient has taken their medication. Once ingested it's able to send a message from the sensor packed into the pill to a wearable smart patch that's worn on the rib cage. The patch, which needs to be replaced every seven days can additionally monitor other information, which includes sleeping patterns, steps, heart rate, and activity. This patch sends the ingestion data to a smartphone app so patients are able closely to track the ingestion of medication. That information produced can also be accessed by caregivers and physicians through a web-based portal so they are able to keep track of the patients as well. It's aimed at people who are being treated for schizophrenia and as an add-on treatment for adults suffering with depression. It can also be used in the acute treatment of manic and mixed episodes associated with bipolar I disorder so it has the potential to do a whole lot of good. Abilify MyCite does outline some precautions when using it though stating that the smart pill should be not used to track drug ingestion in real-time or during an emergency as detection could be delayed. The FDA approval for Abilify MyCite's pill could lead the way for other electronic pills to become available that'll be able to treat other health issues. With the increased access to health data, there does though come that question of privacy and whether information that is retrieved could be misused if it fell into the wrong hands. Whatever way you look at it, this is a major breakthrough for digital health and we're sure now that the FDA has approved one smart pill, we'll soon be flooded by more of them over the coming years.